Our staff experts, volunteer board and members work with policymakers at the federal, state and local levels to insure that laws, regulations, and policies drive investments in future-proof all-fiber infrastructure -- to the home, to business, to everywhere. 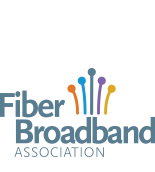 The Fiber Broadband Association educates policymakers on the benefits of all-fiber networks and shows how to facilitate deployment of these networks. Choose a regulatory topic* below to see recent Association activity in that area.